This client was referred to me by a long-time wine industry client. Gary had no website and was looking to be “findable” online — he has great word of mouth, but you still need new people to be able to Google your business name in order to find your contact info! Since search engine optimization was a big goal here, I opted to budget more towards hiring a specialist SEO firm to produce content for us, and less toward eye-catching design or gee-whiz functionality. 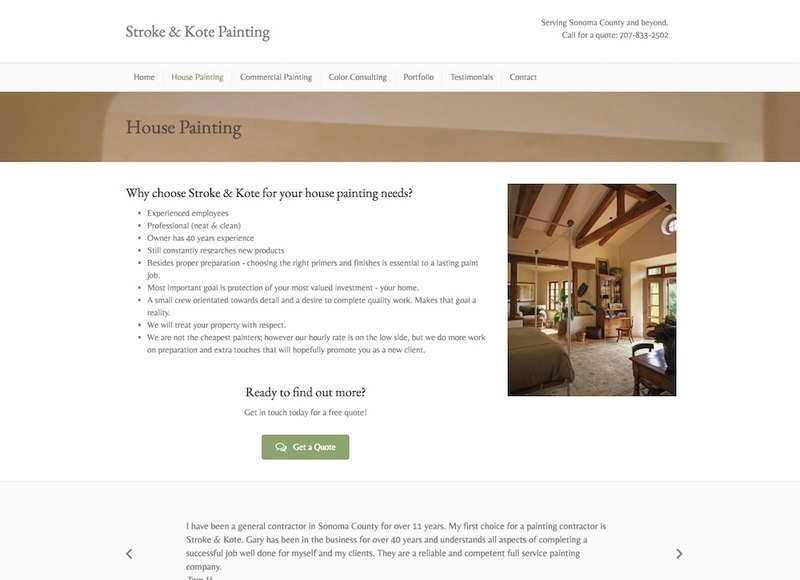 I kept the overall look of the site simple, and used portfolio photographs and testimonials throughout. Search engine results placement is an uphill battle since there is an identically named business in the next county, but he’s making headway now!